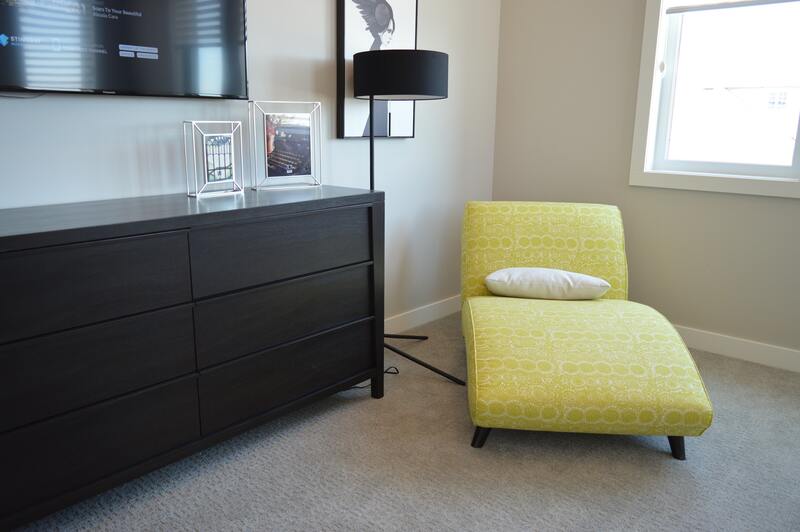 What’s your ideal look for your new Louisville apartments? Everyone has a different definition of, “the perfect home” but one thing we can all agree on is that it should reflect your personal style. In the blog post below, we’ll be sharing some decor tips that you can use to express yourself while still following some tried and true rules for apartment decor. We’re not going to tell you how to decorate your place, but we are going to tell you how to do it in a way that maximizes your floor plan. Decorating an apartment is all about adding pieces that make the most of your space. Your goal should be to make your space seem open, airy and welcoming. After all, you’re not the only person who’ll be using your apartment! The better your place looks, the more comfortable you’ll be when you’re inviting friends and family to your home. Without further delay, let’s jump right into this week’s post! Oh, and when you’re done reading through it, please feel free to share the link to this page with your friends and neighbors at your community of Louisville, KY apartments. The more reflective surfaces you have in your apartment, the more you’ll be able to spread natural light to the darker corners of your living space. Natural light is your friend, as it makes your space seem more open and vibrant. We recommend hanging mirrors near windows and using metallic objects for your decor. These reflective surfaces will help you get natural light into the spaces of your apartment that aren’t near the windows. Apartments that feature too many different colors can look busy and cluttered. You want to avoid that cluttered feeling, but it’s an easy one to avoid. Try using two or three neutral colors throughout your apartment and see if it doesn’t make your place seem more spacious. We’re talking about various shades of gray, pastels and other soft colors that are easy on the eyes. Instead of hanging a bunch of different pieces on your walls of your living room, consider hanging one statement piece behind the couch. In your bedroom, put one large piece over your bed instead of covering your walls. It might sound a little counterintuitive, but large statement pieces will make your place seem larger than it would if you were hanging numerous smaller pieces. This will help you avoid the cluttered look that plagues so many apartments. Those are all the decor tips we’ve got to share with you this week, but we’ll be back in a couple weeks with another brand new blog for our residents! We love writing these, so we hope that you’ll come back to read our next post when it goes live on our website. In the time between now and then, be sure to decorate your place with some of the tips from the blog above! Be sure to check back soon to read our next post. If you enjoyed reading this week’s blog and you want to see the next one right when it goes live, we encourage you to bookmark our blog page. Once you do that, you’ll be able to easily check back when the next post goes up live on our site. In the meantime, you can stay up to date with everything happening at Echelon at Middletown by following our apartment community on social media! That’s the best way to ensure you’re always among the first to hear about upcoming resident events, promotions and giveaways going on at your community of apartments in Louisville, KY.